MASSAPEQUA PARK, Long Island (WABC) -- A serial robber on Long Island has struck again, for the ninth time. Police say he threatened workers with a kitchen knife at a Dunkin' Donuts store in Massapequa Park Sunday night. He got away with cash from the register. The same suspect is wanted in eight other store robberies in Nassau County in a pattern dating back to March 1. 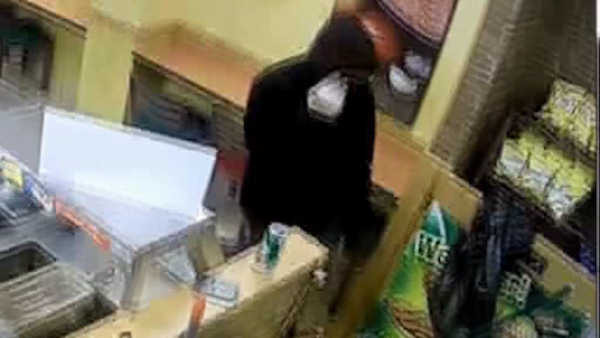 The suspect mostly hits Dunkin' Donuts and other convenience stores, including 7 - Eleven and Subway sandwich stores. The man usually wear a hooded sweatshirt and covers his face with a distinctive scarf. The uninjured employee in the most recent robbery described the subject as being around 35 years old, 6' tall with a medium build. He was wearing a black hooded sweatshirt, blue jeans, black gloves and a black scarf covering his face.